Parts of the world are sweltering in record temperatures - and it's not a problem confined only to summer in the northern hemisphere. Records are being broken across the globe - so where have things been particularly bad? And why is this happening? [post_ads]Cities across the region suffered a deadly heat wave last week, with at least 70 deaths attributed to the record hot spell in Quebec province alone. In Canada's capital Ottawa, in Ontario, the humidity index - the method used there to measure the combined humidity level and temperature - hit 47C (116.6F) on 2 July, Canada Day. Most of the 70 deaths in neighbouring Quebec took place in the city of Montreal. Most victims were aged 65 or over and already had pre-existing medical conditions. The lack of air conditioning in their buildings was a significant contributing factor, doctors said. Over to BBC Weather's Ben Rich: "The jet stream has shifted further north than usual, allowing a plume of very warm air to waft northwards across the USA and into large parts of Canada. There was also less rainfall than normal during May and June - and dry ground heats up more quickly, so temperatures have been able to rise well above average." The whole Caucasus region, a mountainous area on the border of Europe and Asia, has suffered particularly high temperatures this month. The capital of Georgia, Tbilisi, hit an all-time high of 40.5C (104.9F) on 4 July, but the heat has put a significant strain on (often ageing) power grids in other countries nearby. Nearby, there have been major power cuts in Iran because demand outstripped the electrical system's capabilities as people try to stay cool. The government there has urged people to conserve energy wherever possible. 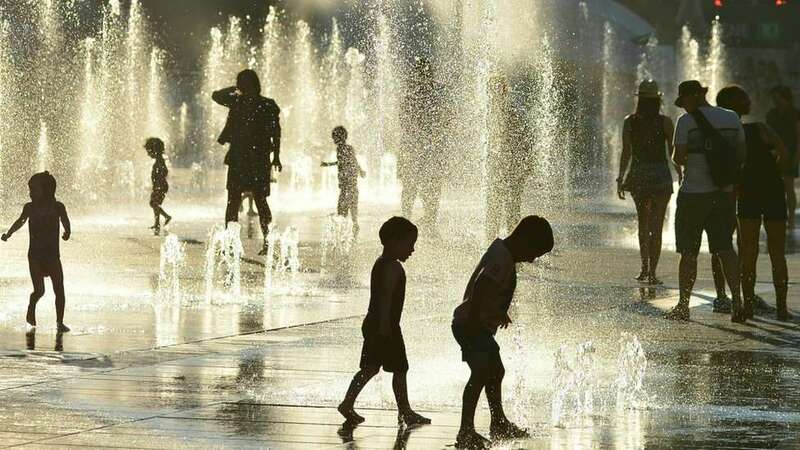 There were major breakdowns in the water supply in Armenia's capital Yerevan as the heat crossed 40C, and, unfortunately, a festival in which people drench each other with water was about to start. Ben Rich: "Over the past few months low pressure has often been sitting across the south east of Europe. In the northern hemisphere, winds move anticlockwise around a low pressure area, and these winds have drawn very warm air from Africa and the Middle East northwards into Armenia - hence temperatures have been much higher than normal." There's been a significant knock-on effect of the record heat in parts of the state - and as in Iran, it led to unprecedented demand on the power grid. As a result, more than 34,000 homes were left without power. 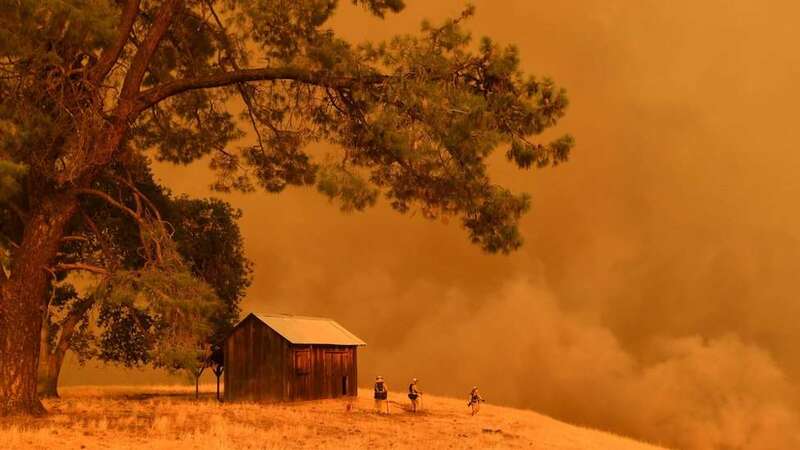 'Red flag' warnings, indicating the risk of serious wildfires, remain in place for large parts of the state. Last Friday, Peggy Frank, a 63-year-old postal worker, was found dead in her truck in a suburb of Los Angeles where the temperature reached 47.2C (117F). Media reports said the truck did not have air conditioning and Mrs Frank had suffered heat stroke at work once before. In essence, it's the same problem that has affected eastern Canada. So is this down to climate change? It's hard to pin it on that and only that, the World Meteorological Organization (WMO) says. "Episodes of extreme heat and precipitation are increasing as a result of climate change," it says. "Although it is not possible to attribute the individual extreme events of June and July to climate change, they are compatible with the general long-term trend due to rising concentrations of greenhouse gases." Bear in mind that it is the middle of winter in the southern hemisphere - but despite this, it is scorching in some places. Last week, the temperature in Sydney topped 24.7C (76.5F) over two days in July for the first time since records began. That's roughly eight celsius higher than the average temperature for this time of year. This comes after most parts of the city recorded their hottest-ever autumn. Ben Rich: "Temperatures rose during early July as an area of high pressure settled to the east of Australia, bringing warm northwesterly winds from the Equator down across the eastern side of Australia. The recent La Nina event may be another factor - sea temperatures in the western Pacific have been a little above average, helping to lift the temperatures over land too." There are plenty of caveats here, but Africa's hottest recorded temperature may have been registered last week. Some background: as it stands, the official hottest temperature recorded on the continent was 55C (131F) in Kebili, Tunisia, in 1931. However, meteorologists are unsure how credible that reading is (doubts linger about the way the information was gathered). 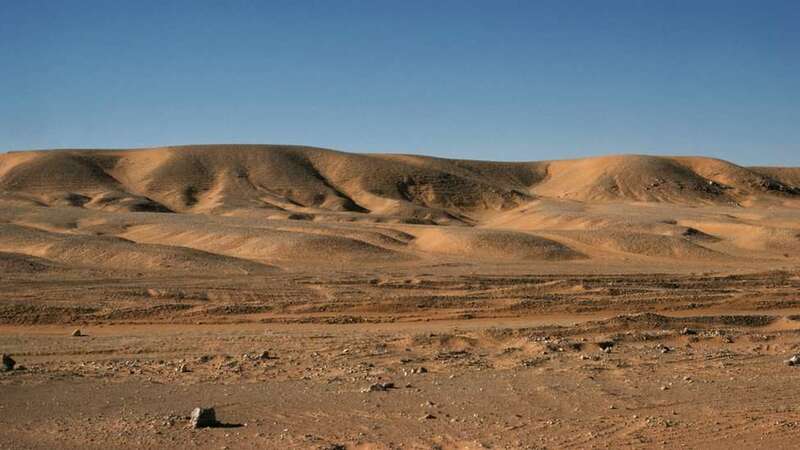 Now, there are grounds to believe Africa's hottest reliable record temperature was registered in Ouargla, northern Algeria, on 5 July: 51.3C (124.3F). Some more caveats: this has not been officially recognised as a record by the WMO, which takes some time to scrutinise the data. However, the WMO does say the record is "likely" to have been broken. There's also some suspicion that the proximity of the weather station to the heat of a runway may have skewed the reading. "In common with many parts of the world, Algeria has seen a significant rise in heat waves over the past 30 years that experts say is down to rising global temperatures. "According to one study, the frequency of heat waves lasting three days or longer has more than doubled between 1988 and 2015. "In fact, researchers believe Algeria will be a global hotspot for climate change. A 2014 study from the World Bank suggested that the strongest warming in North Africa would take place in inland Algeria. If the world fails to rein in carbon emissions, and the planet warms by an average of 4C, Algeria could see a sweltering 8C rise by the end of this century. "The extreme temperatures of recent weeks may be a foretaste of the norm in decades to come."